In a dialogical collaboration that (re)choreographed multiple (re)presentations of femaleness, gender and queerness, Mx. 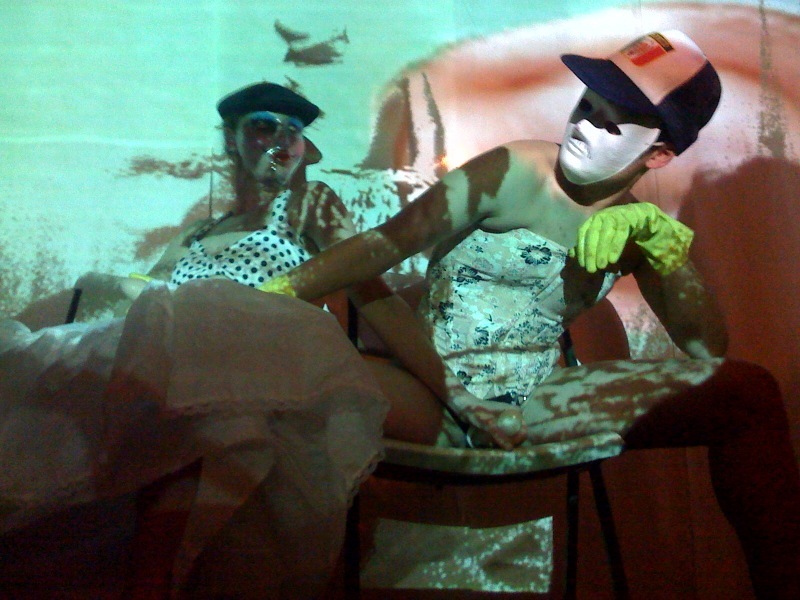 Chavez and I spent 24 hours together in an empty studio, dissecting and re-animating the “female body” as our respective personae and choreographies infected and contaminated one another to produce a one-night-only performance jam on 29 Feb 2012. Jen Cohen's complimentary audio-visual installation incorporated pre-recorded video material and live video feeds, in conjunction with a live performance by Liza Hough, in order to animate how the female body is concealed culturally and/or sexually. Emceed by host Guillermo Gomez-Peña and performance artist Ginger Murray. Photos courtesy of Emma Tramposch, Jenny Priego, and Galería de la Raza.